The University of Maryland needs your help in their Mow Right – Mowing Height Field Study. The purpose of this study is to measure the adoption of a single lawn care practice: correct mowing height (3 inches or highest setting). This is the single most critical practice that homeowners need to do correctly to have a healthy lawn. All lawn best management practices hinge on proper mowing. Many university studies have shown that mowing at 3 inches prevents weed problems, puts less stress on the grass, contributes to a healthy root system and drought resistance. Since it also provides better resistance to insects and diseases, and helps prevent run-off of soil, fertilizers, chemicals, and pollutants, maintaining proper mowing height also helps protect the Chesapeake Bay from pollution from runoff. This study is a regional effort among participants from University of Maryland Extension, Cornell Cooperative Extension, Penn State Extension, Audubon International and its members, and large and small lawn care companies. It is our goal to achieve widespread adoption of the 3 inch mowing height across the region. Why mow at 3 inches? It has been widely documented that three inches is the ideal mowing height for residential turf across the country. Low and infrequent mowing may be the major cause of lawn deterioration. It is best to remove no more than 1/3 of the grass blade each time you mow. Mowing to the proper height can reduce weed problems by as much as 50 to 80%. Sharpen or replace mower blades at least once a year or more frequently if needed. Leave grass clippings on the lawn. It is a way to recycle nutrients. 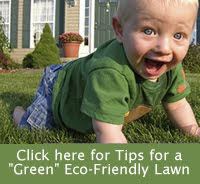 For more information, visit the Growing Green Lawns website.